Biking is a quick and easy way to get through a heavily populated city but there can be some complications involved. Bike storage can be tricky as space tends to always be an issue, particularly in metropolitan areas. You also have to worry about finding a place on the street to lock up your bike because the threat of theft isn’t going away any time soon. Many large cities have invested in a bike share program that allows people to rent out a bike for a certain amount of time and then drop it off at a nearby docking station. Downtown Las Vegas could be the adopting this method of travel for the summer of 2016. Bike sharing is a way to rent a bike for an allotted amount of time and then drop it off at a designated station when you are done with it or reached the time limit. 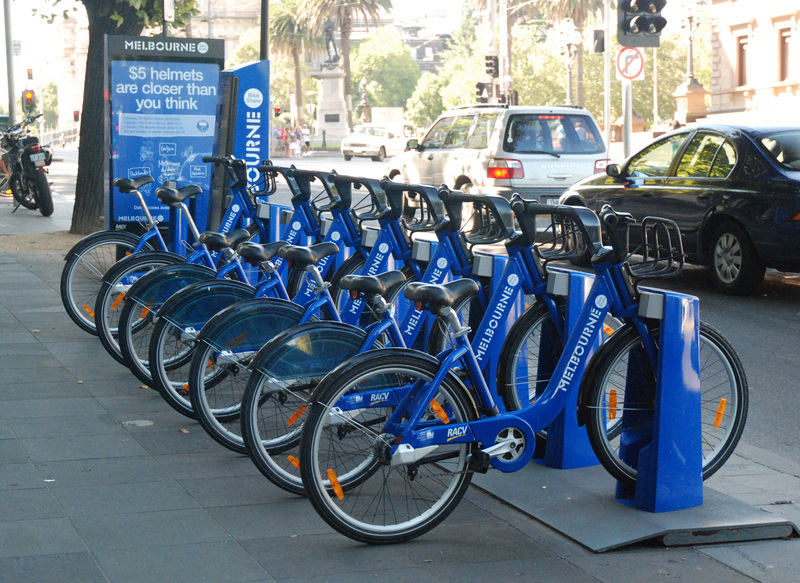 Many large cities such as New York, Washington D.C. and Chicago have bike sharing programs in place. Most recently Los Angeles county has joined the program and as early as this summer, Las Vegas could see a rise in bike riders, Downtown. The program will cover about 1.5 square miles of Downtown Las Vegas covering Bruce Street to the east parts of Sahara and Charleston. The bikes are set to have a 30 minute time limit to ensure that everyone will have access to the 180 bikes. When you are done cruising Downtown you will be able to drop off the bike at one of the twenty bike stations. Take a pub crawl of Downtown Las Vegas on the original bike cruiser. Contact Vegas Pub Crawler to check availability and to book your Downtown pub crawl today.